Play is really the work of childhood." For an impromptu mother/child date, I decided to take the little one to Whimsy. 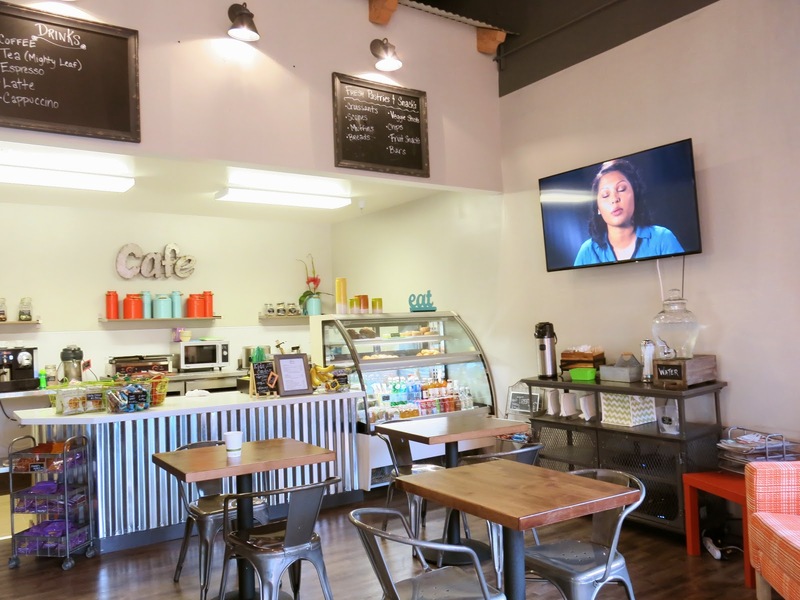 It a new indoor play space and cafe in downtown Saratoga. 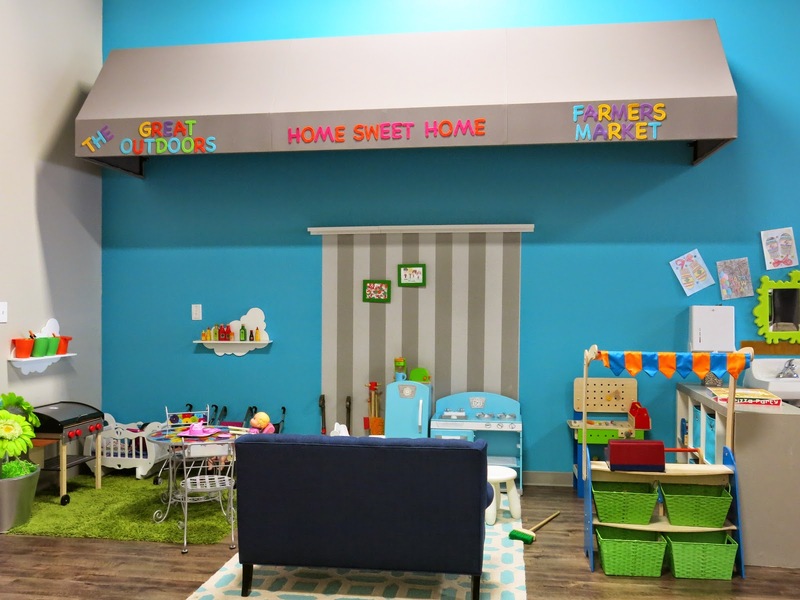 Whimsy came as a result of two mothers, who saw a need for a place to take their children to play, in a safe, comfortable and clean environment. 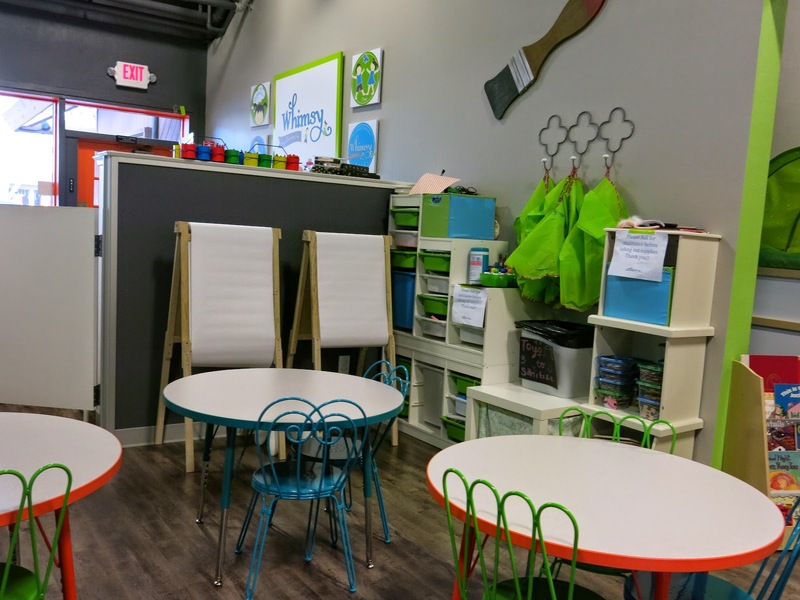 An alternative to having playdates in a park or a friend's house, where parents can relax and have a coffee, while the children can play and explore in a safe, supervised setting. Whimsy is open Monday through Friday from 9am to 5pm, with Saturday and Sunday closed for private events. Admission for a day pass at Whimsy runs for $20 per child in the family and an extra $5 for another child. A day pass gives you unlimited access to the playroom and the cafe as long as you like, but with no in and out privileges. 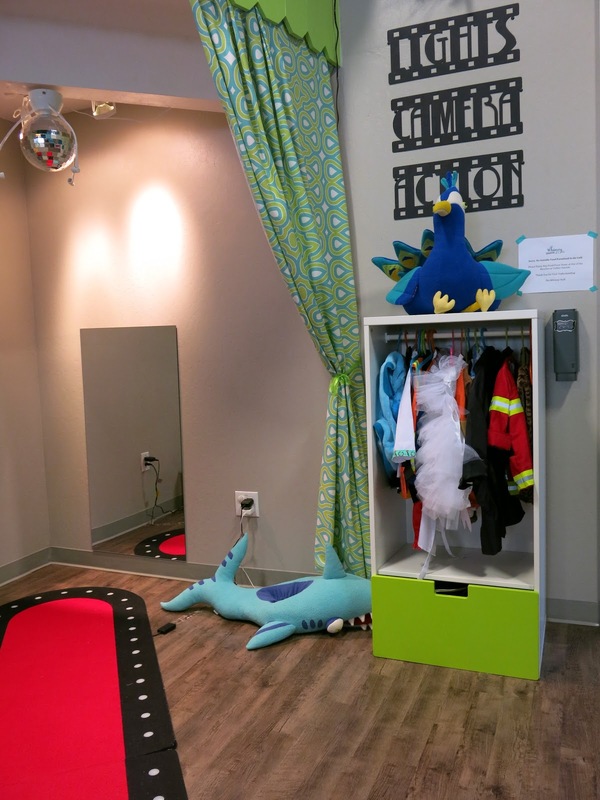 It is important to note that while the children are supervised by Whimsy employees in the playroom, it is not a drop-off child center. Parents must stay on the premises. The little one and I went on a Thursday, right when Whimsy opened at 9am. We were the only ones around at the time and it gave the little lady time to explore and enjoy the space all by herself before the morning crowd rolled in by 1030am. 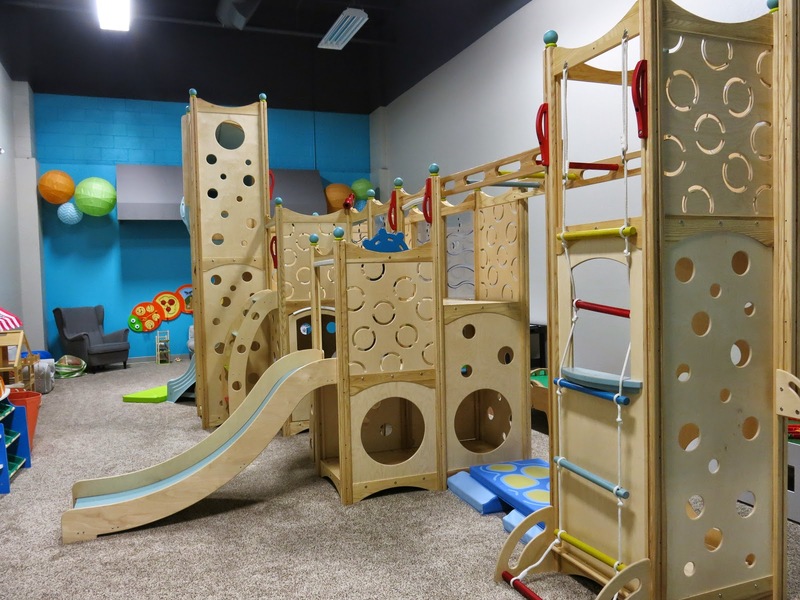 Here are more up close photos of each area in the play space. 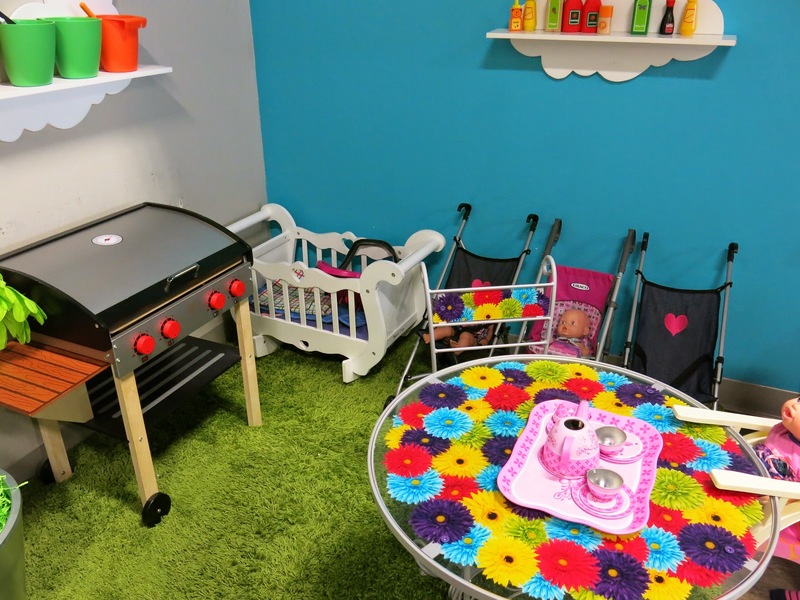 They have almost everything that your child could possibly want to play with. 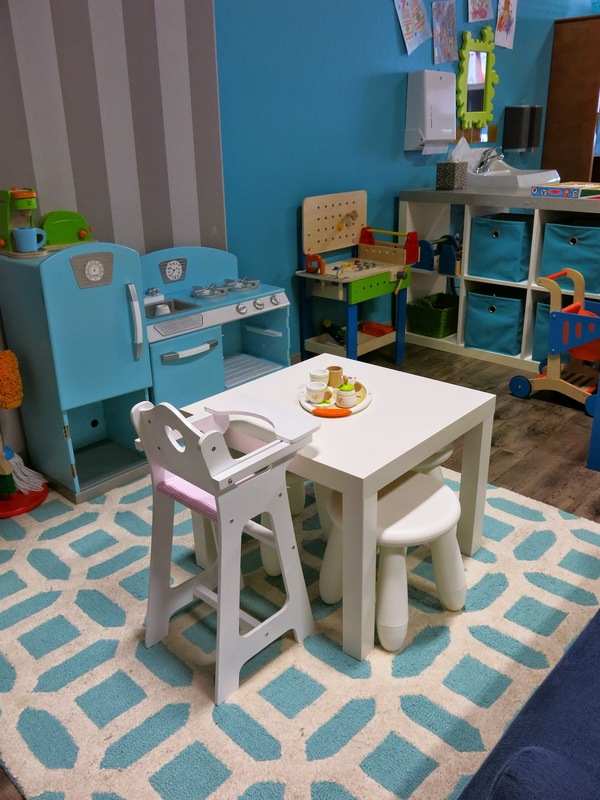 Does your child enjoy pretend play? They have a kitchen set as well as tool bench. How about pretend play with babies? They have those as well. They have a stage area with the runway. The little lady enjoyed walking around the area dressed up as a ladybug. They have an area for reading and quiet time. All in all, the little lady spent time in every area of the play space that we were at Whimsy for slightly over 3 hours, with a brief break for her to have a banana. All the toys are clean and the play space was kept clean. The play supervisors are very nice and engaging. They really took their time to watch each child in their area as well as keep the area clean. The little one took a shine to many of them as she played along with the other children, who started trickling in by 1030am. Just beyond the play space, is the cafe. It is a very pleasant space with big windows overlooking into the courtyard of the complex. There are snacks, drinks available for purchase as well as salads and sandwiches for something for substantial. You cannot bring any outside food and drinks into Whimsy, aside from what is necessary for infants. If you do bring food or drinks, they ask that you enjoy them outside before coming in. I spent maybe an hour in the cafe working on photo-books and browsing the web with the free wifi while the little lady was in the play space, having a blast. I have to admit that it was nice to be able to focus on doing something, knowing that your child is just beyond the door and I can walk in and out to check on her to see how she is doing. Whimsy receives high marks from us. We would definitely be coming back again and highly recommend it. For $20/day, it came out to $7/hour for the time we were there and it is cheaper than other places, given the breakdown of the total time. The little lady did not want to leave at all! We might have to consider getting one of their packages in the future. And, with the little one's birthday around the corner, I am definitely considering it as a place to have her birthday at. 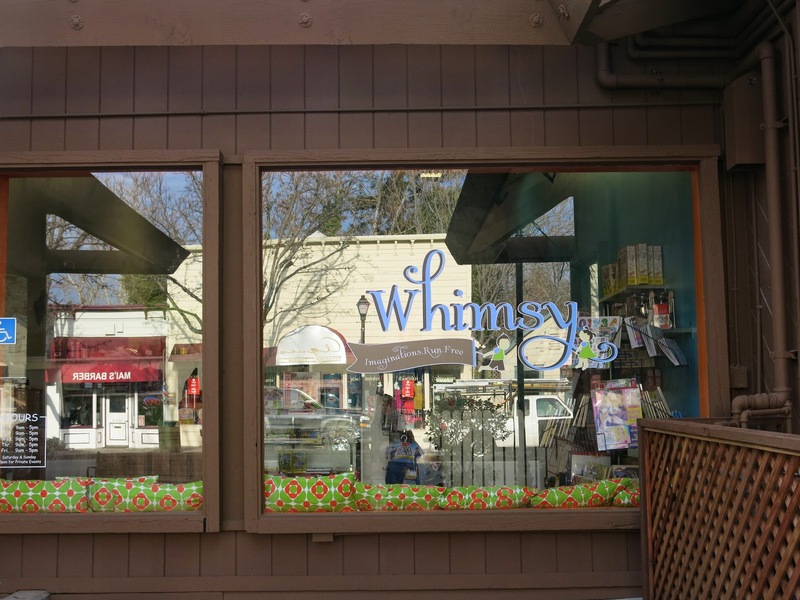 For a more detailed review about Whimsy, check out the review written by Silicon Valley Toddler. They were one of Whimsy's first visitors, back when Whimsy opened back in September, for a pre-opening beta test. For more information, check out Whimsy's website.